3DPrint Press: Kid Friendly RoboGuts Can Lead to BattleBots - Are You In Yet? Kid Friendly RoboGuts Can Lead to BattleBots - Are You In Yet? 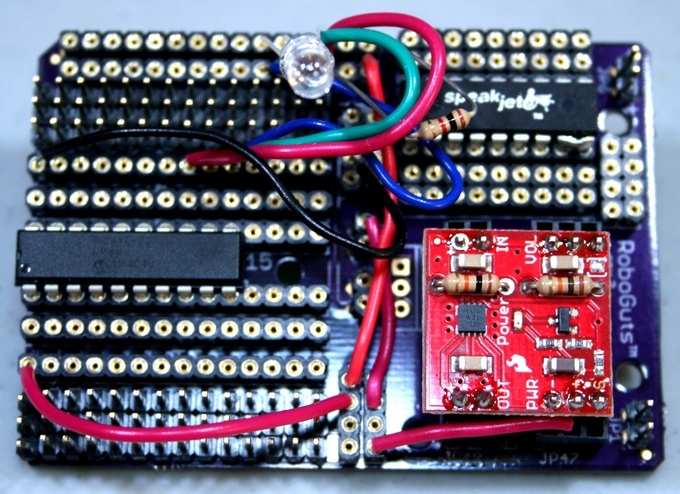 Thank you Walt Perko, for designing RoboGuts, a circuit board for beginners! I am excited about this project as it utilizes a fun way to build interest in electronics, programming and components for the young or old. You can buy many robot kits online so what's unique about this one? Other kits don't have the RoboGuts™ circuit board or smaller 3D printer designs for the plastic robot parts to make the robots. Pledge $65 in this Kickstarter campaign and you can create your own bots for battle! Does it get better than that? Click here for the scoop on this great project!